Mary S. Morgan is Albert O. Hirschman Professor of History and Philosophy of Economics at the London School of Economics; and Affiliated Professor at the University of Amsterdam. She currently holds a Visiting Fellowship at University of Pennsylvania. She is an elected Fellow, and currently Vice-President, of the British Academy, and an Overseas Fellow of the Royal Dutch Academy of Arts and Sciences (KNAW). Her original and continuing research interests in philosophy of science are concerned with how economists work and think: she attacks questions about models, measurements, observation, experiments, etc and — as a historian of science — how these have changed over the last century. Her most recent book on history and philosophy of economics is The World in the Model (CUP 2012), which sets out to explain how economists use models and what was involved in becoming a model-based science. 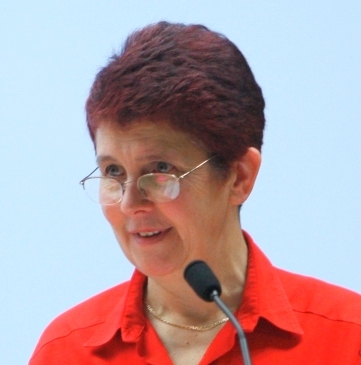 In the process of working on economics, she has developed contributions to the wider literature on scientific modelling, most significantly in Models as Mediators (CUP, 1998 with Margaret Morrison), and published more recent contributions to the philosophical analyses of case studies, experiments, and statistics. She is also interested in developing philosophical work on public domain issues such as experiential knowledge in the social sciences, including, for example, on how ‘glass ceilings’ were ‘discovered’. The latter topic was one case study conducted for a major team project on travelling knowledge covering both humanities and sciences, resulting in How Well Do Facts Travel? (CUP, 2011 with Peter Howlett). She is currently working on projects on poverty measurement and on how economics gets used to change things in the world (the ‘performativity’ thesis currently fashionable amongst sociologists of science, but a term that originated in philosophy with John Austin and developed by Judith Butler). She is about to start another major team project on how narratives are used across the sciences (funded by the ERC), and is editing (with the historian of physics, Norton Wise) a special issue of Studies in the History and Philosophy of Science on ‘narrative science’. My most formative research experience was taking part in the year-long scientific research group working at the ZiF in Bielefeld on ‘The Probabilistic Revolution’ — a project in history and philosophy of probability, following the agenda set by Ian Hacking, who was a leading member of the group. At that time, I was still doing my PhD on the history of econometrics (the statistical side of economics) and this introduced me not just to a wide range of history of science but —significantly here —to the philosophy of science. That year, within a community of twenty odd historians and philosophers of science, was an amazing experience for me. Since then, and as a result, I have felt uneasy unless I am working across the disciplinary divides of philosophy of science and history of science, and of the science I mostly study, namely economics. I am located in the Department of Economic History at LSE, an economics faculty at Amsterdam, and the philosophy department at U.Penn. I don’t find myself always at home in all these communities at once, but over the years, I have found that they have all, at different times, asked me to contribute to their discussions. Despite the interest and support for my work at the Bielefeld group, the institutions of philosophy of science were not particularly welcoming to a young junior faculty person in my field. At that time, the 1980s, the philosophy of science community (and the history of science community too) showed no interest in economics. I was often told that economics was not considered a proper science, maybe a proto-science at best, for the field was dominated by the philosophy of physics. With rare exceptions (such as Dan Hausman) the philosophers of economics were mainly inside economics departments, and the two communities did not speak to each other. Life has certainly changed for the better for those with my interests: economics now has a place in philosophy of science, at PSA, at SPSP, and of course EPSA, in the mainstream journals in our field, and at specialist conferences and workshops. It is now possible to give a paper on philosophy of science with economics examples as a mainstream field. There is a way to go, of course; social sciences are still not fully on the map: political science is creeping in, but anthropology and sociology are still under-represented despite the success of the Philosophy of Social Science Roundtables. My solution to the non-acceptability of economics inside philosophy of science was to team up with more powerful allies. I learnt that I could only get sessions accepted at meetings if economics were twinned with physics, and Models as Mediators grew out of a working group on models in economics and physics. Now it would probably be economics and biology, but the philosophy of science community is also more open, and the younger cohort more eclectic in their interests. Part of the freeing up of the agenda is the change in stance associated with SPSP, an approach for which I have much sympathy and empathy — philosophy is not the only one way to truth, rather scientists know things, and the puzzle for a philosopher of science with my interests is to figure out how they know stuff. Where your research starts is not necessarily indicative of where it ends; nor is it indicative of who will find it of interest in the philosophy domain, or where it will find home in the public domain. My answer to this uncertainty — and so perhaps advice to young philosophers of science — has always been to ask questions and look at problems from a complementary angle: for example, ask about the roles of models or narratives in a particular science and do not worry away again at how to define models and narratives. It is easier, according to the social scientists, to make your way where there are less vested interests!